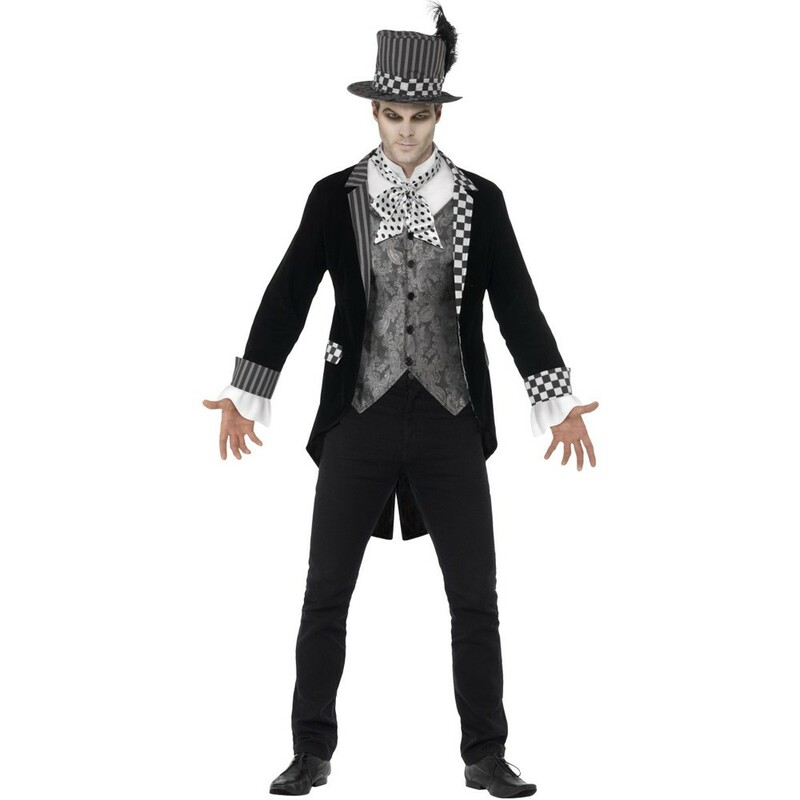 A Deluxe Dark Hatter Costume including a Jacket Mock Shirt, and Top Hat – Ideal for a Fairy Tale theme, Halloween, or any fancy dress occasion! Get ready to show you crazy side with this fantastic Deluxe Dark Hatter Costume. This costume comes complete including a Jacket Mock Shirt, and Top Hat. This black Jacket features alternate patterns of black and grey Stripes and black and white Chequers on the cuffs, collar, and pockets for a gothic look. 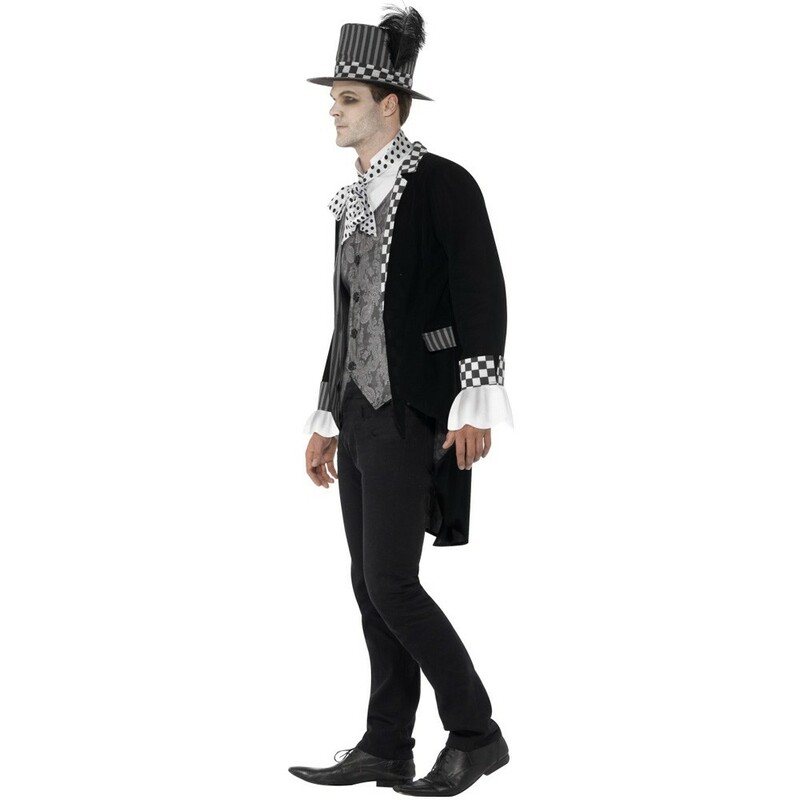 This Deluxe Dark Hatter Costume also includes a white Mock Shirt, which features a high neck collar and an attached grey Waistcoat with an ornate jacquard design. 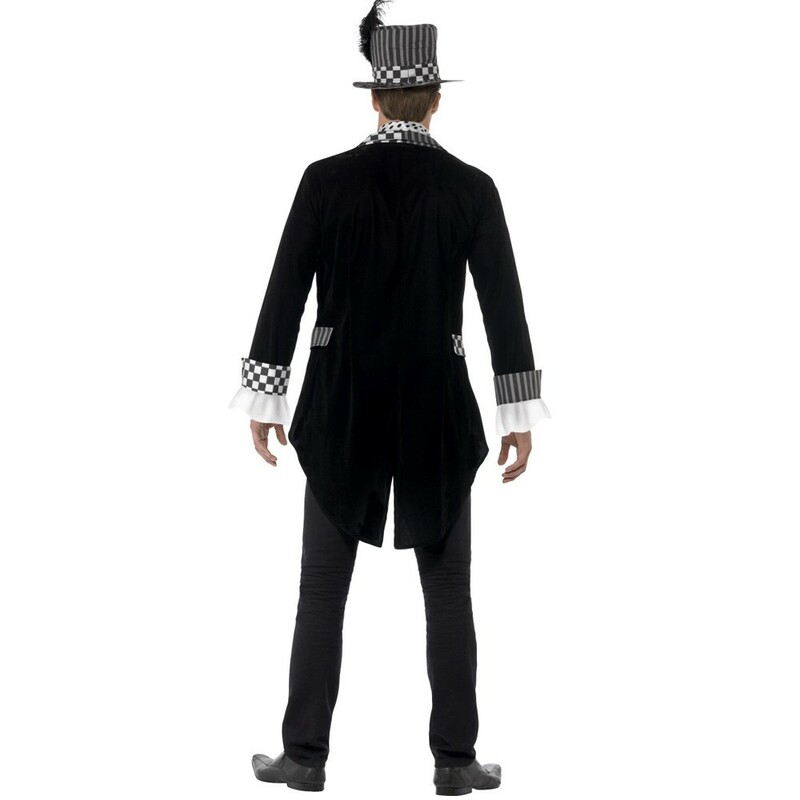 Complete this Deluxe Dark Hatter Costume with the Black and Grey Striped Top Hat that features a black and white Chequered Sash around the Hat and a black Feather detail for a truly mad look. Perfect for a Fairy Tale theme, Halloween, or any fancy dress occasion, this Deluxe Dark Hatter Costume will be sure to impress no matter what the occasion! So get ready for a tea party like no other with this Deluxe Dark Hatter Costume! A Deluxe Dark Hatter Costume.